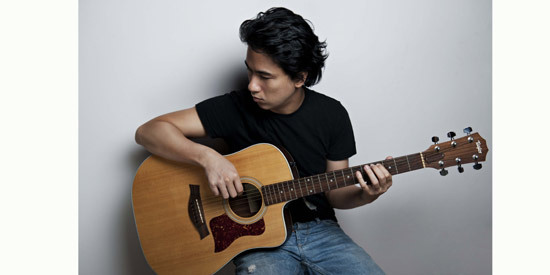 OPM icon Ely Buendia will sing in a one-night-only benefit concert on Saturday, September 20, at 8:00 p.m. Audiences will experience the hitmaker up close and personal in Philippine Educational Theater Association's (PETA) intimate 400-seater black box theater. The man whose music defined a generation enjoys continuing success throughout his almost 20 years in the business. The Eraserheads enjoyed a massive following in the '90s, with one hit after another topping the charts. The singer-songwriter is also a celebrity endorser, an advocate for various causes and currently fronts two bands, Pupil and The Oktaves. Buendia joined multi awarded singer-songwriter Noel Cabangon last year as a guest performer in Tuloy ang Byahe: the Repeat at the PETA Theater Center, a fundraising event for the PETA Endowment Fund. Now, he headlines his own concert in solidarity with PETA's advocacy to use art for social change. PETA has produced more than 300 original Filipino plays that now serve as landmarks in terms of artistic and educational reach. It is now in its 46th year of pursuing artistic excellence, with a vision of developing a distinct Filipino theater. Proceeds of the concert go to The PETA Endowment Fund, which is meant to ensure the sustainability of PETA which will allow them to continue their cultural work, developing future generations of artists, as well as providing a chance those who do not have financial resources to gain access to PETA's unique creative programs. Tickets are P1000 (balcony side), P2000 (orchestra side, balcony center), P2500 (orchestra center), P5000 (VIP). Contact 725-6244 or 0917-518 3654 to reserve. Tickets are also available at Ticket World through www.ticketworld.com.ph or call Tel. No. 891-9999.